Today, many celebrate the Resurrection of the Lord Jesus Christ. Many believe that His resurrection is the victory, without it, there’s no hope. He was resurrected from the dead on the 3rd day after He was crucified. The Apostle Paul, in 1 Corinthians 15:3–4 said “For I delivered unto you first of all that which I also received, how that Christ died for our sins according to the scriptures; And that he was buried, and that he rose again the third day according to the scriptures”. Today, I would like to briefly discuss why the resurrection of Jesus is very important. 1. Christ’s victory over death (1 Cor 15:54). Had He died without being resurrected, His death would’ve been just like the normal human death. But the resurrection shows that He has the power over everything – even death. The resurrection shows that He is both a man and the Son of God. Acts 17:31 says: “because He has appointed a day on which He will judge the world in righteousness by the Man whom He has ordained. He has given assurance of this to all by raising Him from the dead.” Jesus’ work on the cross is our passport to salvation. If we believe that He died on the cross, buried and rose again for our sins and for us to be saved, and if we accept Him as our personal Savior and Lord, then we can be children of God. 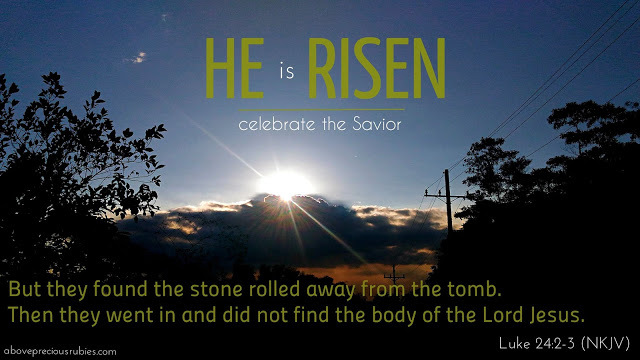 The resurrection is a glorious victory for every believer. The scripture says, Jesus died buried and rose again on the 3rd day and it doesn’t end there, Jesus is coming again to take his children to be with him in the heavenly realms. It guarantees that the believers will not remain dead but will be with Him in glory for all eternity.